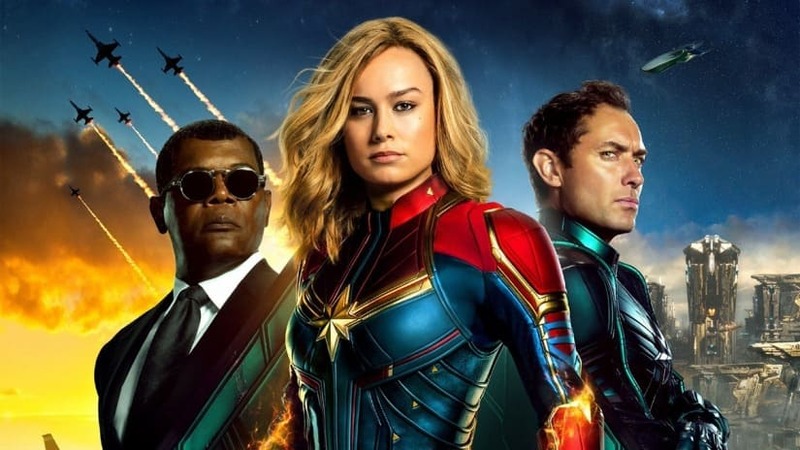 The latest superhero to join the MCU and Marvels first female superhero movie, Captain Marvel can be engaging thanks in most part to the funny dialogue and the amazing chemistry between the cast it even has a few fun twists however it is still held back by the now tired and overused cliched superhero origin story we have seen. Captain Marvel tells the story of Carol Danvers played by Brie Larson who is struggling between controlling her powers and trying to figure out who she is(Memory Loss) and in that sense, it does follow the typical origin story tropes however this does not mean that the movie is a fun watch thanks mostly due to the writing and a few fun turns and twists it takes. Brie Larson is not done justice in the marketing for this movie, she does a great job in carrying her role, she is delightfully funny and is an easy character to root for, Samuel L.Jackson as a young Nick Fury is the best part of this movie doing a complete 180 to the character of Nick Fury we are used to seeing. The movie has a 90s buddy cop movie vibe(Lethal Weapon) and the chemistry between the two leads seems effortless, the rest of the cast does do a good job especially Ben Mendelsohn as Talos who seems to really have a blast with his role. There are also plenty of throwbacks to classic 90's movies, references to other Marvel moves and a really cool cameo by the late Stan Lee, Captain Marvel is not a great movie by any stretch of the imagination but that does not mean it won't entertain you and since when has that been a bad thing.